Family is family, no matter what! It's simple but it's also complicatedly deep. When I was young, I used to hear that from parents and never did quite comprehend. All I know is that I'm annoyed somehow by my siblings and sibling quarrels is just a normal way of life. Not until when I became a parent myself that I truly understood what it meant. Our life isn't perfect and no family is, but if you do know a family that is perfect, then, they might be saints of modern times. Granted they are, or there were, I'm pretty sure that they do had been through some tough times in their family lives. Rearing four kids isn't a joke, most specially if you have kids who seemed to be living worlds apart that they just couldn't understand each other and thus could hardly get along. Now, I guess you may have an idea of what kind of household we have. Case in point, I have two older kids in their college years and two in the primary school years. The eldest being a boy (now a man) sees himself as the boss of them, while my youngest (11 years old) doesn't want to be left behind and tries to cope up with the siblings as if she's always running in hurdles, also thinks of herself as matured enough to be the boss of them. Even though they are all different in a lot of ways, always dis-agreeing on things, they all are my children and I love them all. They may hate each other but my love and their Dad's love for each of them may suffice for now, until such a time they could truly value the true meaning of family, in spite of. But as a mom, I know how to make them bond somehow. At the end of the day, we all come together in the dinner table and we share a common love, the love for Chicken McDo. 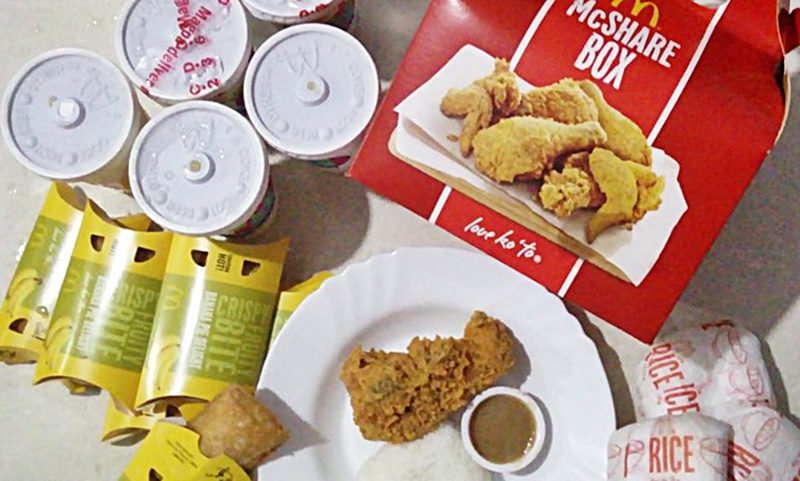 To make dining moments with families and loved ones more special, McDonald’s offers the new McShare Box that contains the best-tasting Chicken McDo. Each piece is sure to satisfy everyone’s chicken craving because the new and improved Chicken McDo is marinated, breaded, and fried to a golden perfection. It’s definitely juicier and tastier with just the right crunch!